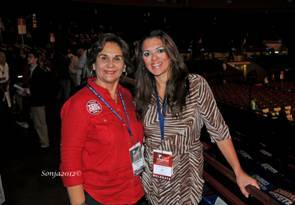 This is my personal journey to the Republican National Convention in Tampa Bay, Florida, August 27 – 31, 2012. It is my perspective and is meant only to describe what actions were taken by me and the circumstances taken to achieve my goal. It did occur to me to go to the National Convention in 2008 as a volunteer, but it was just a passing thought. The delegates in 2008 experienced the exhilarating announcement of Sarah Palin as our vice president and, truthfully, I want to be present when Mitt Romney announces his choice for vice president. What was I thinking when I decided to go for it? With only three delegates and three alternates to be elected from a delegation of 275, what were my chances? 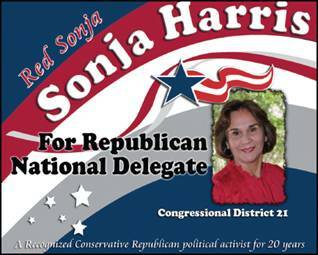 Seeking a national delegate position in Congressional District 21 was very competitive and politically charged. Strategy plays an important part in winning any election and meetings were held prior to the convention by different factions who wanted their candidate to win. I did not hold a meeting but looking back, I probably should have. My husband Bill is my greatest supporter and contributor. Carlyn Townsend Yon was the first friend I contacted, and she is the one who designed all my written material, labels, a mailer, and a Rack Card with more information about me than we know about Barack Hussein. Carlyn did all this creative work knowing that she was not able to attend and vote for me at the convention. After this, I contacted several others to ask for their support and vote. But like anything else, there are always the few who surprise you when they verbalize that horrible word of rejection, NO. Two friends mentioned to me to apply as an At Large Delegate prior to the convention, but I did not act on it. 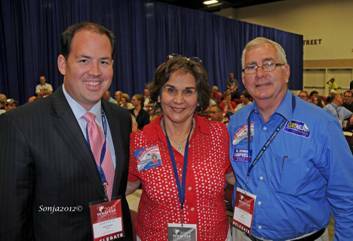 When I arrived at the state convention, it was again suggested that I try for an At Large Delegate position. 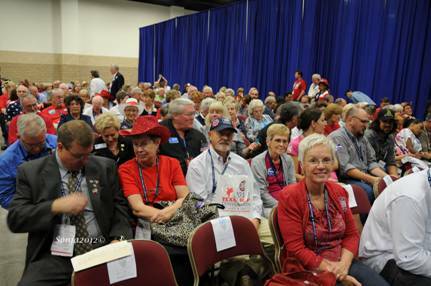 The Nominations Committee was awarding 44 delegates and 44 alternate positions. Little did I know that over 350 applications were submitted before the convention convened and I was one of possibly 100 plus who came in late with the required paperwork. Making for a whopping 500 applicants! Another surprise was that I had to stand in front of the Nominations Committee of 40 members and tell them why I should go. I was exhausted from an extremely busy day and I gave my mindless three minute speech at about 11:30pm. And YES, I listened to approximately 50 delegate candidates give their reasons. This was truly an eye opener of things to come. The applicants were mostly young and some of the reasons given were: I am good looking, my family gave heavily to the Reagan Campaign, I have gone to four state conventions with my parents, I have attended four CPAC conventions and one character said that he had not done much for the party but just wanted to go. There were three applicants with a tested background and of course they were from my Congressional District 21. They were going to run against me for the elected positions early the next day. How Fun is that?!?! What do I think of the process? If you don't have someone pulling for you on the Nominations Committee you may be out of luck. 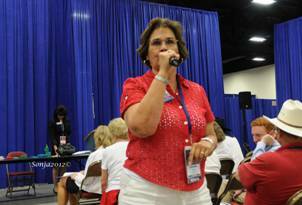 If you are a member of the Nominations Committee then should you be able to be an At Large Delegate? The At Large Delegate method needs some guidelines. As a photographer, when I enter my prints for exhibition there are guidelines, and when you apply for a job there are requirements. Shouldn’t there be some guidelines to have the privilege of being able to select the Republican presidential nominee of the United States? Kathy Haigler a member of the Nominating Committee is under attack for standing up for what she believes. 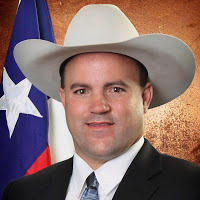 Haigler was handed a list of nine persons to nominate for the At Large Delegates position, Lt. Gov David Dewhurst, Attorney General Greg Abbott, Comptroller Susan Combs, Land Commissioner Jerry Patterson, Agriculture Commissioner Todd Staples, Speaker of the House Joe Straus, and the three Railroad Commissioners. 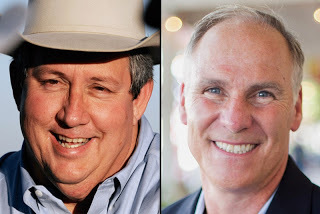 Haigler did not believe that Straus should be on the list because he is not elected statewide. What I see happening to our party is the ‘entitlement’ syndrome. It not only manifested itself in the Nominations Committee but in the Congressional and Senatorial Districts. Not to mention that some candidates also feel entitled. Without the grassroots, the workers, the party would ultimately die. Even though this was my fifth time at a state convention, this one was an awakening for me. It was the first time that I became so aware of the ‘establishment’ Republicans. The following Saturday morning at 8:00 am sharp, we gathered at our Congressional District 21 for the purpose of electing three National Delegates and three Alternates and one Elector. This would be accomplished by using secret ballots. Comal County is the second largest delegation in CD21 with Bexar County being the largest. Congressional District 21 had an approximate 275 delegates that included parts of Bexar, Hays, Travis and Comal. Bandera, Blanco, Real, Kerr, Kendall, and Gillespie counties make up the rest of the delegation. All candidates were allotted a total of three minutes to speak. This time is shared by the candidate and those who will speak on their behalf. I ran in the second delegate position which would have been great if circumstances had not changed. The persons who spoke for me for the second delegate position were Don Johnson who also nominated me and is president of our club and Bill Harris, past president of our club, the Republican Club of Comal County. The Kendall County candidate, who was heavily endorsed by the TFRW and permanent chairman of the caucus, was going to run in position number three but instead she ran against me in position number two and I came in second. Comal County had another delegate and she went for the third position. Seeing that running against another Comal County candidate would only weaken both of our positions, I chose to stay out because I realized that I did not have the support I needed to win. At least thirteen candidates from other counties were running for the same positions that the Comal County delegates were vying for. My husband and I had decided earlier that I would go up only three times, but of course things never go as planned, especially in a hot election. Candidates change their minds, a friend, Wanda Canon, who was going to speak for me, fell ill, and so it went. I ran only once for national delegate in position two. I went up for first alternate. My surrogates this time were Johnson and I added Matt Beebe, candidate for HD121 in Bexar County. Remember that seasoned delegate speaking in front of the Nominations Committee well, I came in second again. I got up one more time. Thinking this time I should get position number two alternate. 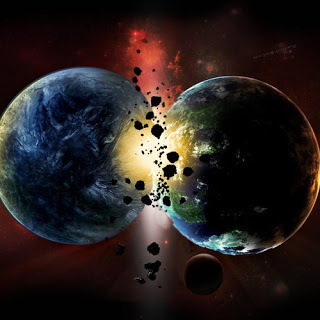 My surrogates this time were Beebe and Harris. Wrong, I lost by a few votes, second again. I had come in second three times. Most delegates stopped running if their vote count was lower than second. The decision to go one more round came from a surge from my county and supporters from other counties to try as alternate number three. My husband jumped up and nominated me just in the nick of time. Two more people jumped up to speak on my behalf, the Parliamentarian and the Sergeant at Arms. They each gave their passionate appeal followed by Beebe. This time I won with 177 votes from the 275 delegates present. Moral of the story, never give up and never assume that people you expect to support you will. There was an element of surprise for me when the two Comal County delegates Jan Kennady and Bob Dosee came to my rescue and gave me the boost needed to win. It was a bitter-sweet victory. Disappointment that certain friends turned their back on me, but totally exhilarated from the unexpected support I did receive. 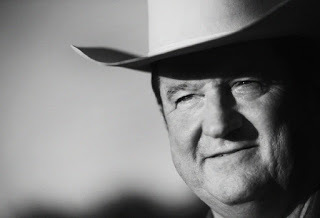 I am not new to the elective process, but it is always stressful when you are in the middle of all the ‘excitement.’ I had to remind myself that politics is a ‘blood sport.’ I will forever remember and be appreciative to my friends and supporters from my county as well as those from the other counties who voted for me. Lisa Roper was elected to the number three position delegate and I am the number three alternate. I feel fortunate to represent Comal County at the National Convention. 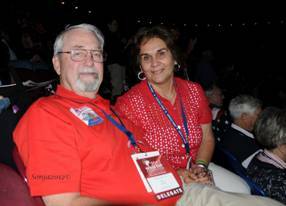 Comal County should be very proud of its delegates as two were elected as National Delegates, Larry Nuckols position number one and Lisa Roper position number three. I was elected as Alternate number three. 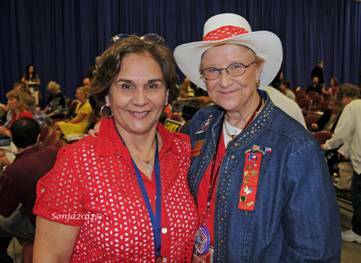 Mary Lou Erben, a Comal County Delegate from CD3,5 was elected from her caucus as an At Large Delegate candidate and she will be going to Florida as an At Large Alternate. 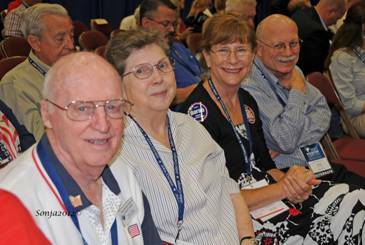 Patti Johnson, also from Comal County, was elected as an Elector and Jennifer Lambert was elected to the Nominations Committee representing Comal County. We also elected a State Republican Executive Committee woman Linda Kinney from Hays County and George Antuna as SREC man from Bexar County to represent us from Senate District 25. 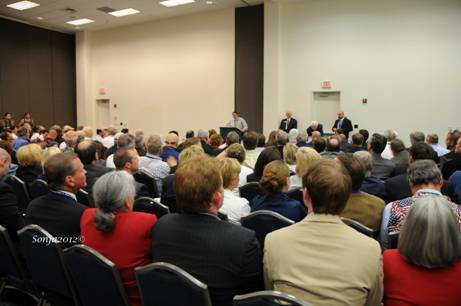 We still had one last meeting to attend scheduled at the end of the last session of the convention. It was a mandatory meeting for the entire National and Alternate delegation. We were given instructions and paperwork to fill out. 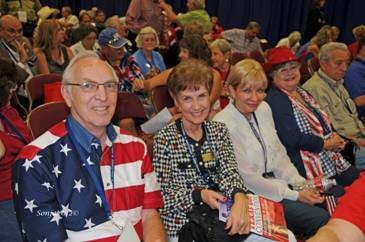 Again, there were elections for representatives to the National Convention from the Texas Delegation. Governor Rick Perry will be in charge of the second largest delegation with a total of 307 Delegates and Alternates to Tampa, second only to New York. The delegates attending this year will witness America’s sincere desire to nominate a Republican to the greatest office, the presidency of the United States to combat the Socialist currently occupying the WH. I want to be present and be a part of America’s rebirth. Bill will be my guest and we are looking forward to the future of America!